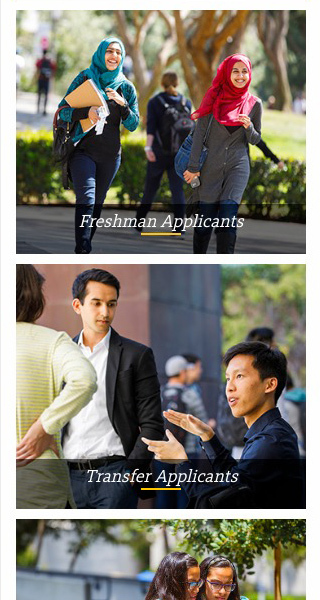 In Higher Education websites, Admissions is the place to make an impression on prospective students. 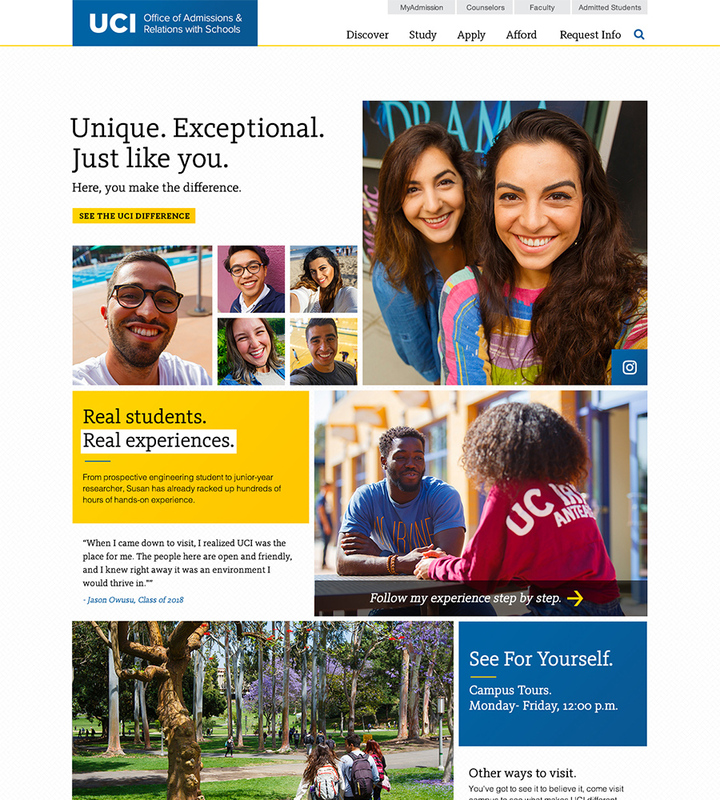 To appeal to Millennial and Generation Z students, Admissions must be authentic, approachable and relatable. We needed to do different differently. 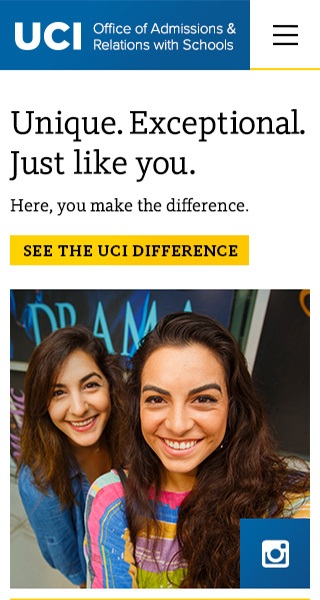 That’s what UCI does. 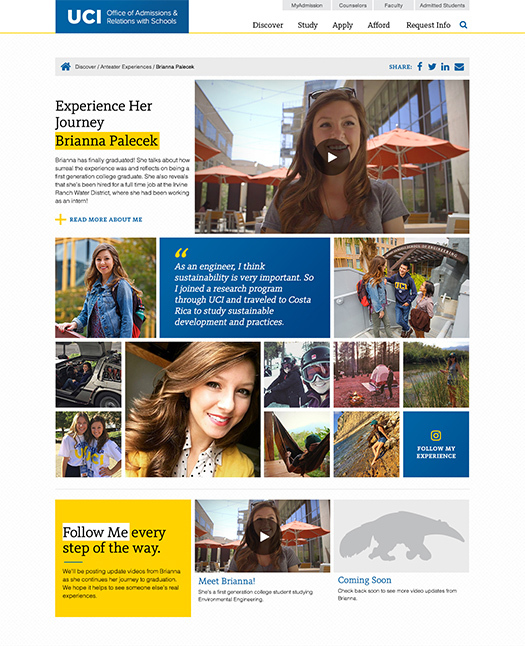 We leveraged social media on the site to genuinely capture the vibe of UCI student life. Brand messaging wasn’t going to be enough to counter prospects’ preconceived notions. 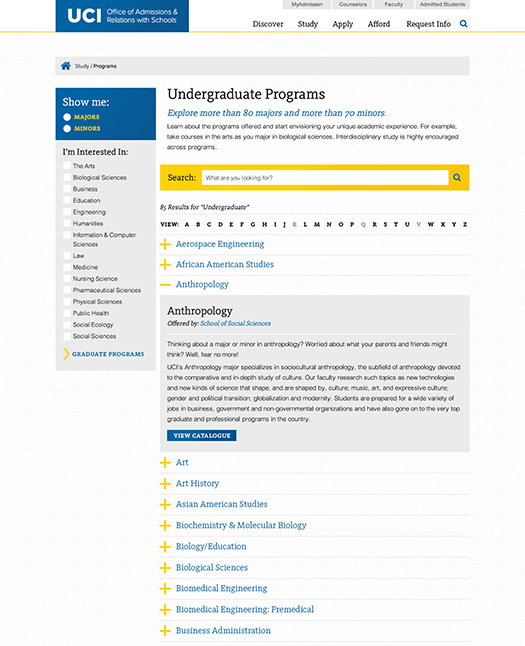 We made rankings more prominent. 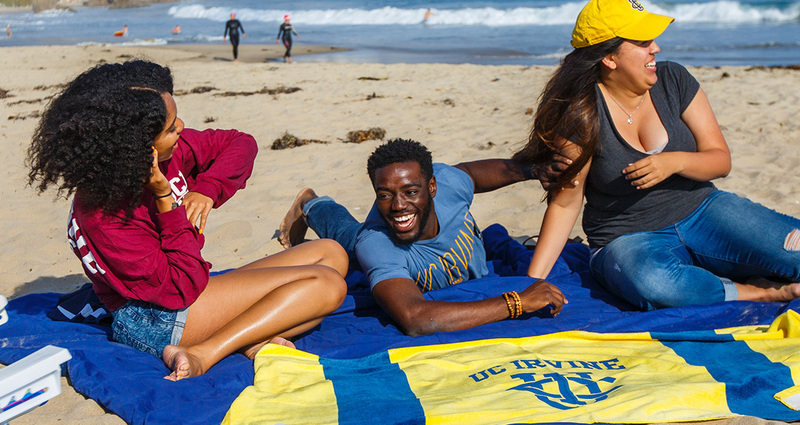 That’s right – UCI is the best at a lot of things. 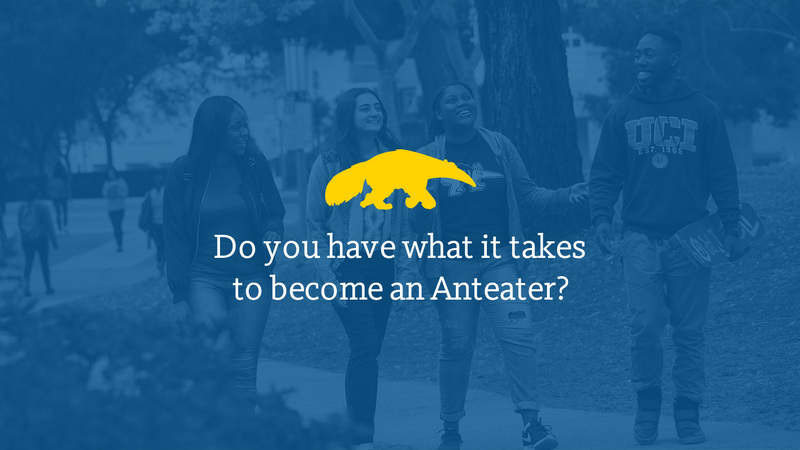 If prospective students didn’t know that – well, they do now. We produced video to highlight the unique beauty of the campus – particularly the spectacular Aldrich Park.